Continuous DJ mixes are odd creatures, both for the maker and the consumer. The audience is imagined for the consumer, and the environment of reception can vary considerably for the listener. In other words, the DJ can't see the massed hordes of clubgoers in front of her as she spins and weaves her mix by assessing and controlling the mood, ebbing and flowing, building up a frenzy to the point of release, any of that since we aren't there. The audience, on the other hand, is probably not going to be in a club when they hear the mix, unless they're going to a club with a very lazy DJ who isn't Laurel Halo (real name Ina Cube). They're most likely going to be hearing this on headphones, on a train or a bus, or at home, disconnected from the communal setting in which one might hope to find oneself to experience this carefully curated emotional journey. So both sides are trying to compromise and meet somewhere in the middle. The DJ/curator is creating an imagined ecstatic experience for the listener, while the listener is retreating from the floor to the inner recesses of her mind as the mix unfurls. We both agree to simulate human interaction until we meet again in the public sphere once again. So this is a synthesized event, a form of social contract perhaps, even more so than the artificial generation of rising and falling mixes in a club setting, and more so in this case since this DJ Kicks mix clocks in at almost exactly an hour, so all of those synthesized emotional peaks and valleys are crammed into a discrete framework as a showcase or sampler of what you might expect from what we might haphazardly call "the real thing", if such even exists. It's also interesting to note that most of what's on offer here are either recent or new, and as such it serves as a showcase of what's good and interesting in Halo's musical world. With the exception of the closing excerpt by the Whitefield Brothers (2010), Facta's "Poliwhirl" (2013), Halo's own contribution from 2014's Chance of Rain, Stefan Ringer's "Lust" (2015), and Final Cut's "Temptation" (1990), almost everything else here is from the last couple of years. So Halo is paying all due respect to some important (for her) past landmarks while grounding herself mostly in the present and very recent past. This shows a steely determination and all due diligence in furtherance of the modernity and contemporaneity of her mission. Laurel Halo herself has had an interesting career in terms of the progression of her albums, from Quarantine (2012), to Chance of Rain (2014), to Dust (2017), and the much more ambient Raw Silk Uncut Wood (2018). It is possible to trace in this body of work an amplitude of sorts. Quarantine offered broad swathes of keyboard and generous vocal contributions in an unfettered and youthful self-introduction, while Chance of Rain seemed almost like a mixtape, taking chances with sounds and beats across a wide spectrum of electronic genres, including contemporary classical music, not unlike Oneohtrix Point Never in places, and harder stuff that was more like Ellen Allien in others. Dust felt like the logical conclusion of what had come before it, almost erasing itself in a form of meditational wandering, punctuated by the tropical interlude of "Moontalk" at its core, just as "Chance of Rain" as the heart of that eponymous album had offered some ventilation in the midst of the encroachment of so many other elemental sounds around it. Raw Silk Uncut Wood seemed most fully to embrace the rhythm of pulse over beat, and thus to become more completely a journey into ambient jazz, for want of a better term, than anything that had preceded it. So it was going to be interesting to see what came next, and it feels like this might be a slight return to the mixtape territory of Chance of Rain if one is looking for a point of comparison from Halo's oeuvre. Outside of her studio albums, Halo's other publicly available mixes include a FACT mix from 2011 and a Boiler Room set from 2012, which were a mixed bag in terms of their ability to purvey a fully satisfactory replication of the club experience. Naturally enough, the live Boiler Room set seemed to work more organically than the FACT mix set, which was challenging enough in places to make one wonder if one shouldn't perhaps retreat to another room altogether while some of these issues worked themselves out. Just as that 2011 FACT Mix began in challenging territory with a slightly demented version of Bach's Toccata and Fugue, Halo's DJ Kicks set begins with an original track, "Public Art", that sounds not unlike deranged church bells but is probably some kind of treated piano. Halo has a habit of opening with keyboard curios; 2014's Chance of Rain began with "Dr. Echt", a watery jazz meander that transitioned into the much harder "Oneiroi". The progression from there is a whirlwind but very well-paced tour of trends and tendencies across a plethora of genres, subgenres, rhythms and textures, and nothing that we hear last longer than three minutes before morphing into something else. The fade out of Red Axes' "5 min" and into Parris' "Puro Rosaceae", for example, at around the five-minute mark, is a glorious generic transition from a pulsing synth that almost recalls Cabaret Voltaire to what eventually becomes a more pastoral, albeit still garage, soundscape. This kind of aural intertextuality is evidence of Halo's smarts both in terms of her knowledge of music history but also in terms of her ability to transition smoothly between ostensibly incongruous sounds and beats. The subsequent transition into Rrose's "Cricoid Pressure" is seamless and immaculate to the point that the tracks become interwoven and this may be the point where we get lost in a way that most fully mimics the dancefloor experience. That euphoric oblivion is hard to emulate but it hits home during this passage with particular acuity. So we reach an early peak with Machinewoman's "Just Made Some Jazz Music", and while the beats continue insistently into WCC's "Ana", you can feel the mood shifting again somewhat as we come down the side of one mountain and perhaps prepare to begin the ascent of another. And so it is, right on cue, that FIT Siegel's "Pennyrut" picks up the slack and impels us forward again with a cacophonous but not unpleasant percussive drive. Halo's control of her own momentum and our aural energy and attention span is impressive here, and the crossfade from here to "Plastic PQ" by Yamaoka is even more so, given that it seems to be a call back to the broken bells of the introduction, this time with what sound like synthesized and softly struck wind chimes from another continent entirely. With this deft movement, Halo also seems to be recreating in musical form the sense of the listener as flâneur, so that we feel ourselves to be on, brace yourself, a journey into sound, and so if you're really tuned in you might cast your mind back to the plummy tones of Geoffrey Sumner whose use of that phrase was so famously deployed on Eric B and Rakim's "Paid in Full". None of this is ever writ large, but the intimations are such that this is where the mind goes in such moments, and if Sumner's famous drop was used again precisely here it wouldn't seem at all out of place. Things get bassy and spacy at around the 20-minute mark with "Canto" by Siete Catorce, but the insistent drum throb never lets up, and that might be the through-line of the mix that allows all of the other sounds to ride those waves, and Siete's Catorce's cut, and the subsequent (and very deft) segue into Facta's "Poliwhirl", is particularly undulating and enlightening in that regard. 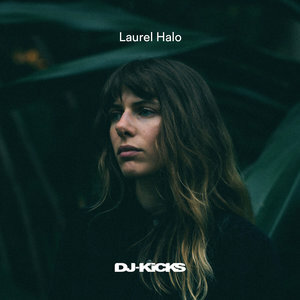 At this point Halo re-inserts herself, briefly, into the mix with "The Light Within You", which honestly feels like something of a placeholder while another reset is being prepared (albeit that the track worked very well in the context of 2018's EP with Livity Sound's Hodge), and sure enough we find ourselves ramping back up again at around 25 minutes with a fascinating hybrid of sounds and subgenres with "Bodied" by Ikonika. This feels like a musical highlight of the album somehow, constituting as it does a wild and slamming mini-mix at what is almost the heart of the proceedings. Passages like this confirm the exquisite pacing and curation that define the entire mix. We move relatively quick from there through "A.C.I.D." by Griffit Vigo and "Lachowa" by Panda Lasow in a sequence that hurries us through an aural gamut that might seem rushed and somewhat incoherent in less capable hands, but Halo leads us to the banger "Koraimer Bro" by Dario Zenker and you have the realization that she knows exactly what she's doing, if there were ever any doubt. At this point we are right at the heart of the mix, the range of sounds to which we have been exposed has been dizzying and the time has flown by. As we enter the home stretch, Aos' "Violent Light" purveys what sounds like a rather more threatening version of Madonna's "Ray of Light," although the similarity may be entirely imagined or accidental, or it may just be a tease because this transitions into the frankly barking mad sound of Geoffrey Landers' "Brian's Having a Party" and Via Maris' "Side Effects" which is really no way to bliss out at all, as if to suggest that Madonna's long-ago attempt at raving was perhaps a tad naïve. No arguments here, and there seems to be some confirmation that we are in fact back in Chance of Rain territory when Halo revisits the aforementioned "Oneiro" from that album about two-thirds of the way through this one. All roads lead back to Halo's own catalog somehow, which is a very smart piece of self-referentiality on her part. Somewhere between Stefan Ringer's "Lust" and Kirk the Flirt's "Loser" we get a rare vocal interlude to break up the mostly instrumental flow of the mix, and that takes us directly into Halo's own "Sweetie", an original piece for this purpose, and which was the single to lead off the album. Naturally enough the vocals drop out immediately and we resume the instrumental onslaught for what is one of the longer stand-alone pieces of the entire set. We appear to be building to one last crescendo in the segue to Blake Baxter's "Funky World", and Kiki Kudo's "Freakey Keke", which may be from 2017 and 2018 respectively but feel a lot older in this context. It's as if we are going out of the mix by regressing in musical time to a more primitive techno heyday. This regression is confirmed with the penultimate track "Ketabali" by Group A, Japanese by origin but now, like Halo herself, resident in Berlin. This feels like a thorough-going ketamine flashback soundtrack, which is a rather alarming place to find oneself almost an hour in, but it's indicative of the fearlessness of this mix that Halo never once loosens her grip on us until the gradually diminishing but no less riotous exit music of the Whitefield Brothers' "Ntu" which closes out the experience. And so we end with one cacophony as we began with another, "Ntu" being the perfect bookend to accompany Halo's own "Public Art". The rather brilliant thing about this ending is that it achieves multiple things at once, if you would care to follow along: first, the aforementioned musical bookends are very satisfying and tie the mix up in a neat bow, with "Ntu" also providing an organic counterpoint to the treated keyboards with which we began. But there is more to it than that. The Whitefield Brothers are in fact German funk duo Jan and Max Weissenfeldt, and "Ntu" comes from their 2010 stealth masterpiece Earthology. This is important and interesting for a couple of reasons. First, with this parting shot, Halo offers almost a soundbite of gratitude to her host country, at the same time acknowledging the craft of curation and what poet Jack Gilbert, in his poem "The Abnormal Is Not Courage", once called "the normal excellence of long accomplishment". Because Earthology itself took approximately 15 years to come together, lovingly assembled by the brothers Whitefield/Weissenfeldt (get it? ), and in this closing moment we are reminded of the enormous care that Halo herself has put into this mix, and of the great respect she has for her peers, her contemporaries,her forebears, and for her own work.